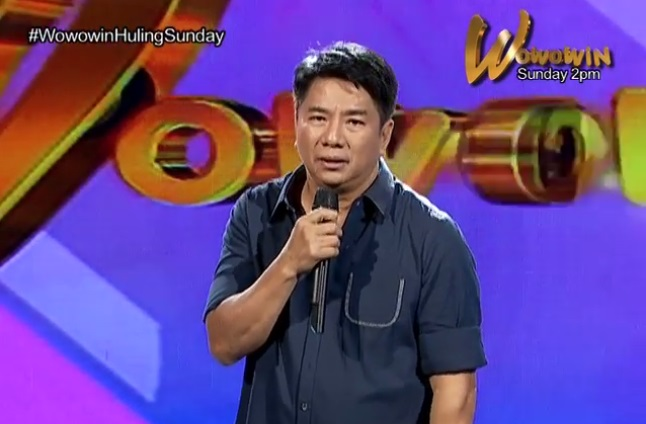 A female audience dies in an accident during the taping of GMA7's variety game show "Wowowin." The incident happened during the opening segment were the two victims were singing and dancing when accidentally fell down from the bleachers. One victim suffered injury, while the other one died after falling and hitting a fire extinguisher. Following to the incident GMA Network and WBR Entertainment published a statement on its news platform. “During the Wowowin taping on Tuesday, 22 January 2019 on or about 5:25 in the afternoon, an unfortunate accident transpired during the opening number of the show. One member from the studio audience was injured, while another lost her life. “The person injured was identified as Milagros Espiritu, while the audience member who passed away is Estrella Bognot. According to the statement of Security Marshal Roel Batang who witnessed the accident, the two audience, who were at the bleachers of the studio, lost their balance while singing and dancing during the opening act. “On account of the accident, Ms. Espiritu suffered a fracture, while the head of Ms. Bognot hit a fire extinguisher. They were immediately attended to by the in-house paramedic of WBR Entertainment and rushed to nearby Delgado Hospital. "WBR Entertainment and GMA Network deeply commiserate with, and extended immediate assistance to, the families and loved ones of the victims."